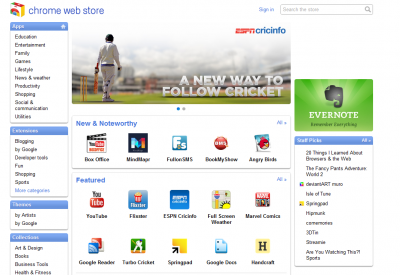 The Google Chrome Web Store launched 9 months back was available only for US Market. Since then, Google Chrome Webstore has received a huge response, with an ever-increasing selection of apps, extensions and themes. However, Google has today officially announced that Chrome Webstore will be expanded and available to 24 more countries viz. Argentina, Austria, Belgium, Brazil, Czech Republic, Denmark, Finland, France, Germany, Hong Kong, India, Israel, Italy, Japan, Mexico, Netherlands, Norway, Poland, Portugal, Russia, Spain, Sweden, Switzerland and the United Kingdom. The Google Chrome WebStore was accessible across the whole world but it primarily offered United States based Application for the US Market only. With this launch, other country oriented application will start making a presence and will be delivered to specific Webstore. Now, you’ll be able to access a range of new applications, extensions, themes to Chrome from international developers and publishers. Indians, will now be able to listen to your favorite Indian music from Saavn, a musical app that brings a seamless Bollywood listening experience to Chrome. For those of you cricket fans, the ESPN Cricinfo app lets you follow the news and features from the world’s best cricket journalists and latest developments in your favorite sport and the TurboCricket app allows you to play your favourite game anywhere. Avid news readers can catch up on the latest Bollywood gossip on Midday and news in Hindi with Jagran. The opening of Google Web Store in India and other countries also opens doors for International developers and content providers to join the Chrome bandwagon and take their apps global. Head over to the Chrome Web Store with your Chrome browser, to check out whats new! Guest Post by: Hari Maurya.